Home Healthy BabiesNewborn Care	Tech Trends: How Smart Is Your Baby’s Nursery? Maybe your baby has more gadgets than toys in their nursery, but what do experts say makes a healthy, smart environment for your little one? Prepping for a healthy pregnancy? Look for help no further than the phone in your fingertips. Designing a nursery with gadgets galore so even grandma and grandpa can interact with your little one from afar? It seems modern moms have tech to touch for every aspect of conceiving, pregnancy, birth, parenting and yes, even healthy vital signs. The Wall Street Journal asked earlier this year, “Are you a bad parent if you rely on parenting technology?” No, the article concludes, you’re a typical parent. In what the New York Times called the “over-monitored nursery trend,” tech has expanded beyond the plugged in nursery to nearly every aspect of maternal and infant health, including pregnancy, birth and parenting. Three out of 4 moms use technology to conceive, carry a pregnancy and equip a cozy crib for their offspring as well as monitor their every move as they grow, measure every ounce of breastmilk pumped, saved and fed, and track fertility to plan for future offspring, say market researchers from the firm Frost & Sullivan. Digital tools abound in all aspects of health and parenting—fertility, pregnancy, birthing, nursing, baby health, and safety, to name a few. And, in a techy turnabout, women are 75% more likely to use these tools to manage their health and appointments than their male partners. Public health fears related to increasing preterm birth and maternal mortality rates are compelling women to look for reassurances beyond their pregnancy care provider to an app in hand or other device, researchers observed. Even regulators at the FDA have recently advised women incorporate technology into their personal and family health management. It might have started in the nursery, but today’s mother/baby digital health product choices range from wearables for home and clinical use, mobile apps, and gear for improving the management of high-risk pregnancies, infant care, and assisting busy parents. Proceed with caution, though, as experts including those at the American Academy of Pediatrics warn, as these devices and apps collect significant data, especially related to newborns, creating what could one day be a serious data security concern. Smart nurseries connect to your home’s overall smart control system, making not only your baby’s room but your whole house a potential security target for hacks and breaches. Recently, researchers made headlines when they reported that two consumer baby monitors intended to check baby’s oxygen levels provided “worrisome” results, making parents worry if we’re starting to rely a little much on the tech and too little on ordinary parenting skills like presence and physically supervising baby—especially since these monitoring products aren’t regulated by the FDA. 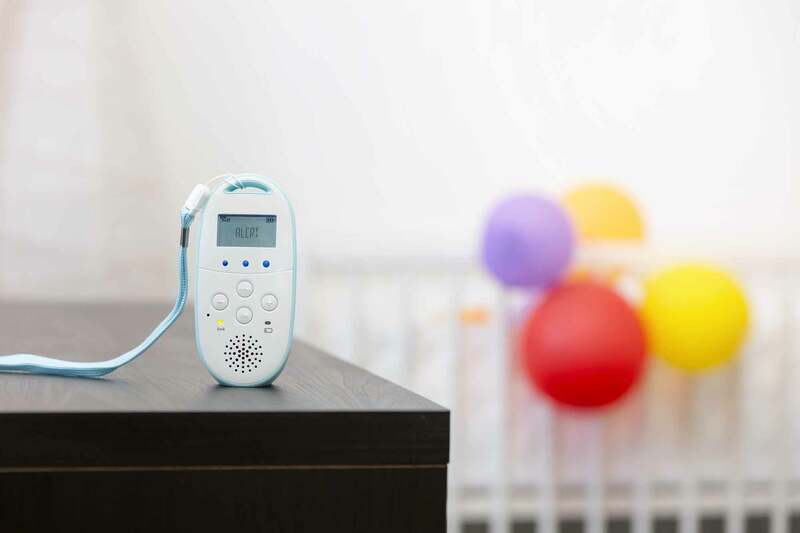 “We evaluated how accurate these monitors were in detecting low oxygen levels in infants,” said study leader Chris Bonafide, MD, MSCE, a pediatrician and safety expert at Children’s Hospital of Philadelphia (CHOP). “One monitor detected those levels when they occurred, but was inconsistent; the other never detected those levels when they occurred.” The team also evaluated pulse rate accuracy in the babies, and found that the monitor that never detected low oxygen levels also often falsely displayed low pulse rates. The consumer monitors were the Owlet Smart Sock2 and the Baby Vida, the only two currently marketed smartphone-integrated consumer baby monitors that use pulse oximetry, which measure’s a baby’s blood oxygen levels. Last year, these same researchers counseled in the Journal of the American Medical Association that these products can create anxiety in parents with no benefits for babies. “If something is going wrong with a sick infant, you would want to know that 100% of the time,” added Bonafide. Especially when a monitor sounds an alarm for a non-problem: “False positives raise the possibility of unintended consequences,” said Foglia. “Parents who see an abnormally low pulse rate reading might call 911, or unnecessarily rush their baby to an emergency department” on a false alarm. As technology advances, look for artificial intelligence (How does that bassinet fit with my décor?) and even integrated telehealth with your care providers via your phone with smart health devices like thermometers and scanners (Sure doc, just let me put that scanner up to my baby’s ear for you . . .). The market report emphasized that the goal of manufacturers isn’t just offer you one product, but rather a full suite that integrates with your home tech systems, including a consult with baby’s pediatrician with just a few clicks of your smart phone or baby’s monitor. What will comprise your family’s digital health management suite in the future? One trend you don’t need any technology to observe is that the digital and connected health devices, wearables and tracking trend is now fully entrenched and will continue to play an important part in your family’s health life going forward, experts agree. Baby Health: Products such as smart clothing, patches and other wearable devices, pacifiers, humidifiers, that help in tracking baby’s health parameters such as temperature, breathing, and heart rate. Baby Safety: Products such as baby monitors, mattresses, and light sensors that help in tracking the baby’s location and position. NICU: Clinical-grade products that replace bulky devices at NICUs and can be used by nurses and doctors to track a baby’s vitals while on the go; any abnormality issues an alert for attention. Fertility: Consumer-focused digital tools such as fertility tracking wearables and mobile apps. Pregnancy: Tracks progress of the pregnancy for both mother and fetus; provides information on baby’s development and other information about diet and exercise without gynaecologist visits; helps save money and free-up physician’s time for new/more serious patients. Nursing: Smart breast pumps making it convenient to pump on the go by recording time and quantity collected; connected to the mother’s smartphone.